Have you ever visited Goa during the Carnival? Trust me! There’s no other place you’d rather be. Goa is the only Indian state to host a carnival, much on the lines of those organised across the world. It brings India on the world map with this great cultural fest. Over the years, the Goa Carnival has increased its scale to become one of India’s most celebrated parades and the fervor is unmatched. 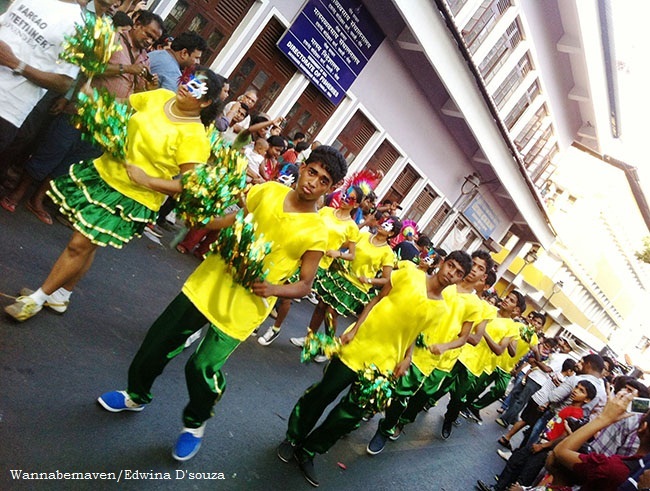 Portuguese ruled Goa until 1961, and under their rule, the Carnival was introduced. Goa embraced this Portuguese cultural tradition and it continues to be celebrated with great enthusiasm, till date. 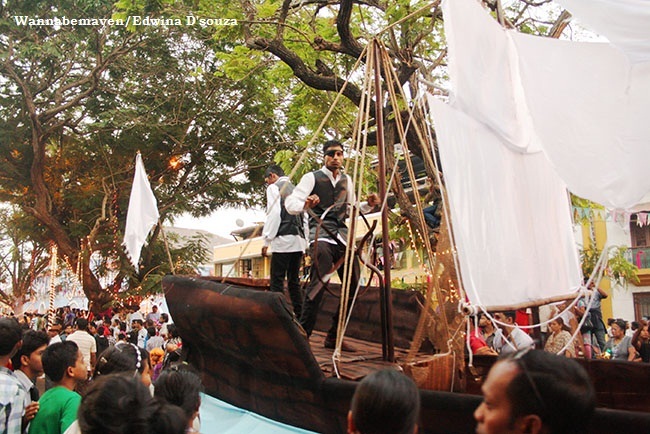 While Panjim remains the most popular city to witness the Goa carnival, this cultural extravaganza travels to four other prominent cities across Goa – Vasco, Margao, Mapusa and Ponda. So, everyone gets their share of Carnival fun. The Goa Carnival is the most exciting time of the year to witness Goa’s true spirit. People register to participate in the parade way ahead of time. Event calendars are marked well in advance, and suddenly Goa seems the most populated during this season. The state bursts with tourists that really is a cultural potpourri of travellers from right across the globe and India. Apart from the fact that Goa was ruled by the Portuguese, the state is a world tourist destination today. Call it influence or merger of cultures but the Goa Carnival manages to carry an international stamp. The music, the costumes and the enthusiasm is at par with carnivals abroad. People from every corner of the world come cheering during this grand public celebration. A lot is said about Goa being the ultimate beach destination, conveniently ignoring other rich cultural facets of the state. 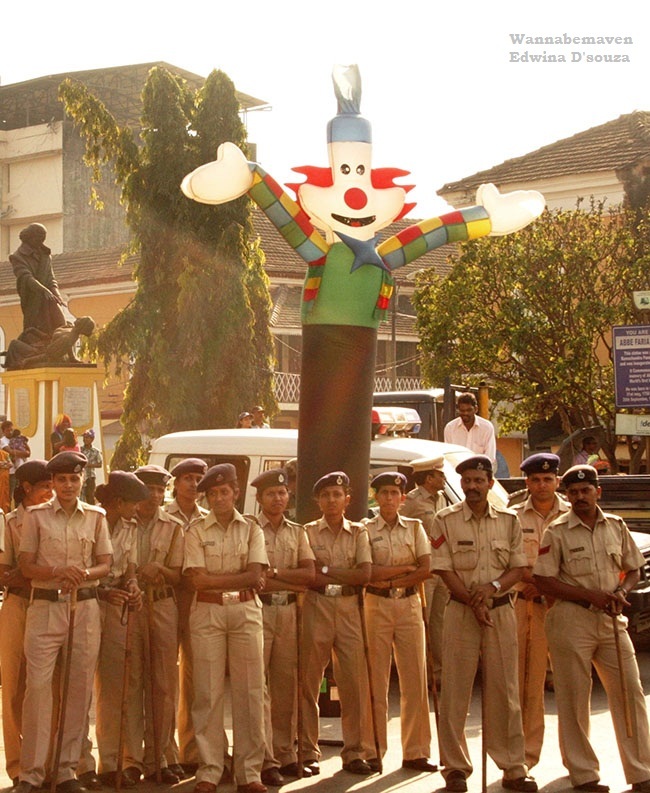 the Goa Carnival is the most important of them all and a cultural symbol of Goa. Not only was the Portuguese tradition of Carnival embraced by Goa with open arms, but they also successfully managed to add modern touches without tweaking its true essence. The Goa Carnival is a great example of ‘East meets West’, ‘Traditional meets modern’, and they even squeeze in pressing social issues for impact. I’ve met some of the most amazingly friendly people, I could have ever met, at the Goa Carnival. They are sporting, smile for cameras, click photos with you and overall a very tolerant bunch. Go ahead and mingle with them (do it over a mug of beer, even better :P). The Goa Carnival is a free for all celebration. There are no ticket charges, no religion, caste and creed restrictions, and absolutely no invitation needed. Come one, come all. Have you visited a Goa Carnival yet? How was the experience? Tell me in the comments…. Looking for accommodation in Goa? Carnival, Culture, Goa Festivals, Indian festivals, Offbeat Goa, things to do in Goa, Travel, unique cultures. Bookmark.